Does your organization handle dangerous goods? The TDG Act defines the term "handling" as the "loading, unloading, packing or unpacking of dangerous goods in a means of containment or transport for the purposes of, in the course of or following transportation and includes storing them in the course of transportation.” An inspector from Transport Canada will outline the fundamentals of the TDG regulations to ensure you remain compliant. Patrick Lessard is a biologist specialized in plant ecology and physiology. He has a Master’s degree in Environment (specializing in environmental management) from Sherbrooke University. 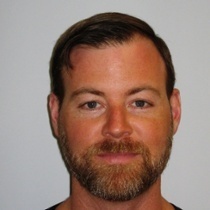 Mr. Lessard also earned a post-graduate degree in environmental auditing from Sherbrooke University following environmental assessment work in both the public and private sectors. His career began at an engineering firm where he worked eight years before making the move to Environment Canada for nine years of Compliance Promotion work. He has been a Transportation of Dangerous Goods Inspector at Transport Canada for a little over a year.